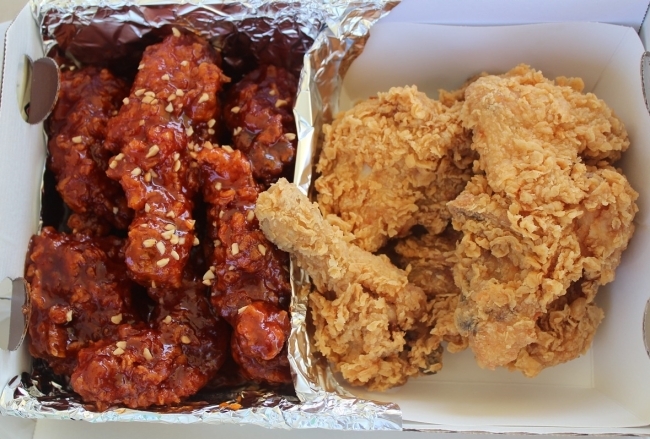 A man accused of putting on weight by eating fried chicken to avoid mandatory military service was acquitted of breaking the law on conscription, Incheon District Court said Sunday. The 22-year-old college student reportedly underwent a physical examination for military service in August 2016. The test showed that the man, who weighed 106 kilograms and was 169.6 centimeters tall at the time, had Body Mass Index of 36.8. People with BMI of 33 and higher can be exempted from full-time military service and work as a public service worker. The prosecutors indicted the man for violating the military service law, arguing that he deliberately gained weight by eating fried chicken and drinking alcohol ahead of the physical exam to avoid the conscription. They also accused the man of stooping when getting his height measured so as to increase his BMI. The man, however, said that he had been overweight for a long time and that he didn’t stoop while having his height measured. Judge Shim Hyun-joo found in the man’s favor on grounds that he had been obese since he was 10 years old and that it was hard to conclude that the man deliberately gained weight to avoid military service, as he already weighed 102 kilograms when he was a junior in high school. The judge added that there was no evidence that he took medication or supplements to gain weight rapidly.